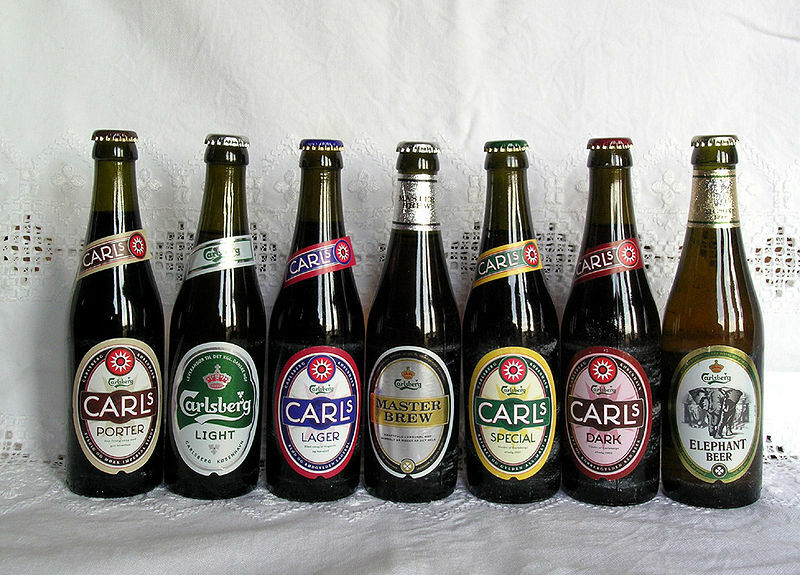 Just about everyone reading this blog surely knows about Carlsberg, and with good reason. They are a huge brewery, and said to be the 4th largest brewery group in the world, I'm sure following the real giants AB-InBev, SABMiller, and Heineken International. In addition to sheer size the Carlsberg company is an aggressive sponsor of soccer around the world, including the Euro 2008 tournament, and teams like Liverpool and FC Copenhagen. They use the advertising slogan "Probably the best beer in the world" and really, among the big boys, they might be close. The flagship brew is the Carlsberg Beer, with the trademark Carlsberg logo and green labeling. (Not pictured, oddly enough...) It's a German-style pilsner, with a moderate 5% abv, and hints of noble hops. Like all green-bottled beers it's prone to go skunky but as far as the type goes, I do enjoy a good Carlsberg. Especially on tap when visiting Ireland and I'm feeling like something other than a Guinness. 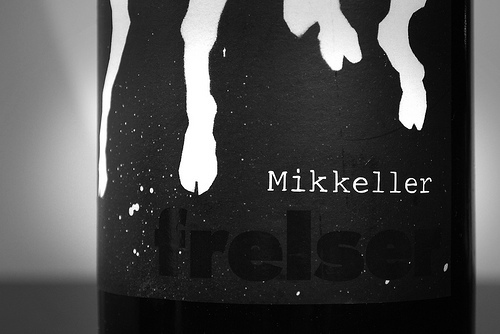 Another brewery worth mentioning in Denmark is Mikkeller, an 'extreme' microbrewery that are constantly pushing the notions of style in beer. I know these guys are available at The Cove (but not cheap!) and retail at Calandro's, and maybe a few other places in town as well. Be ready to drop a few bucks, but if you really want to try something different and possibly mind-blowing in the world of beer, grab a few and give them a go.